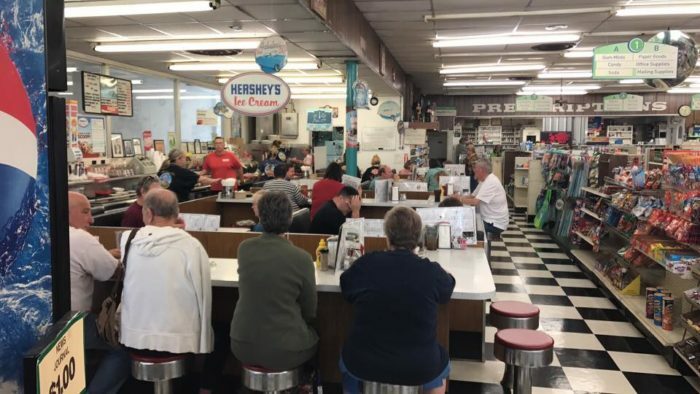 There is something so incredibly charming and nostalgic about a retro lunch counter that we just have to stop when we see one. 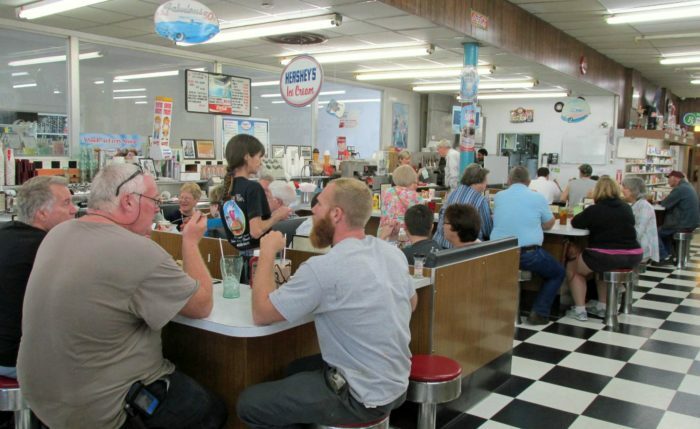 Maybe it’s the classic old fashioned diner feel, the inexpensive but delicious food, or the vintage vibes that are a reminder of families sitting together with sweet root beer floats. 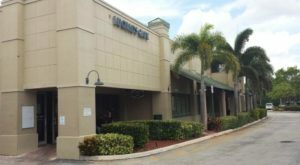 The next time you have a hankering for some retro lunch counter service in Florida, we have the perfect place for you. 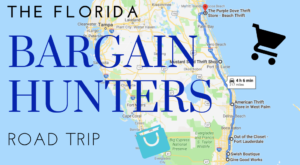 Tucked inside a drug store inside the charming beach town of New Smyrna Beach, Florida is the effortlessly classic Little Drug Co lunch counter. 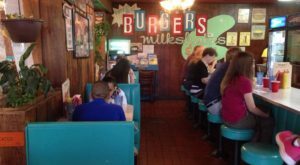 This old fashioned soda shop and lunch hotspot has been around since the early 1920s, opening its doors originally on the north end of Canal St. 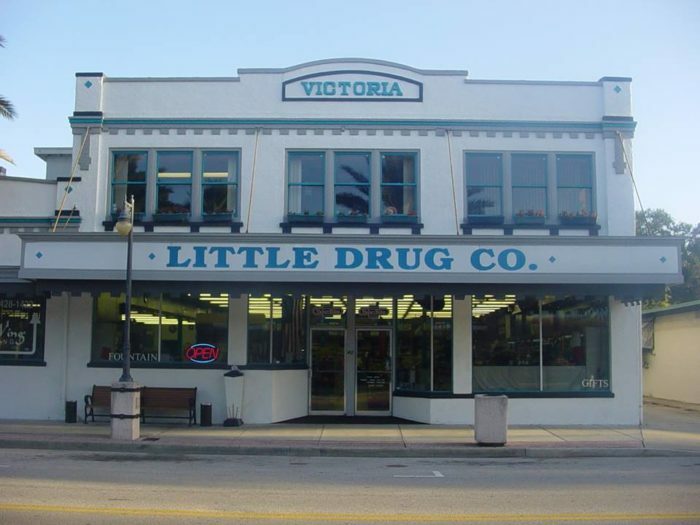 In 1965, the Little Drug Co. moved to the beautiful Victoria Theater building, where it has remained a staple for the beach town ever since. 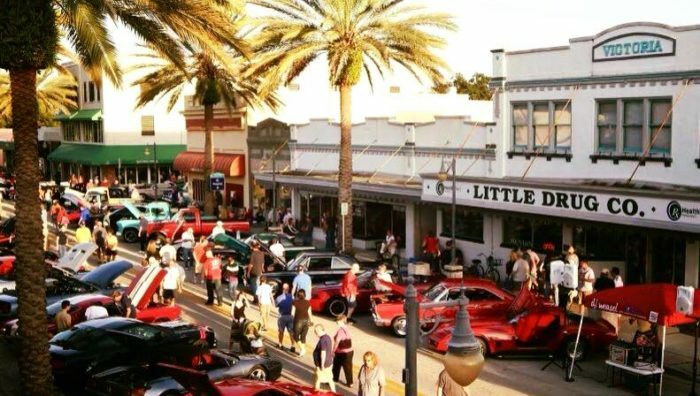 In fact, Little Drug Co. has the distinction of being the oldest ongoing independent pharmacy in Volusia county, keeping the vintage ambiance of the 1950s alive and well. 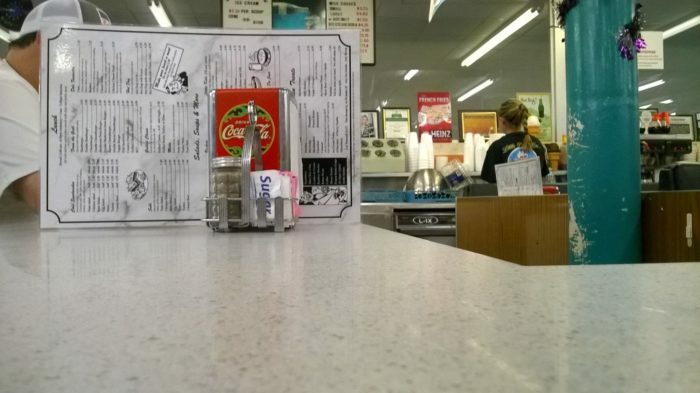 You can sidle up to the counter at the Little Drug Co. to experience the same soda fountain from the 1950s. 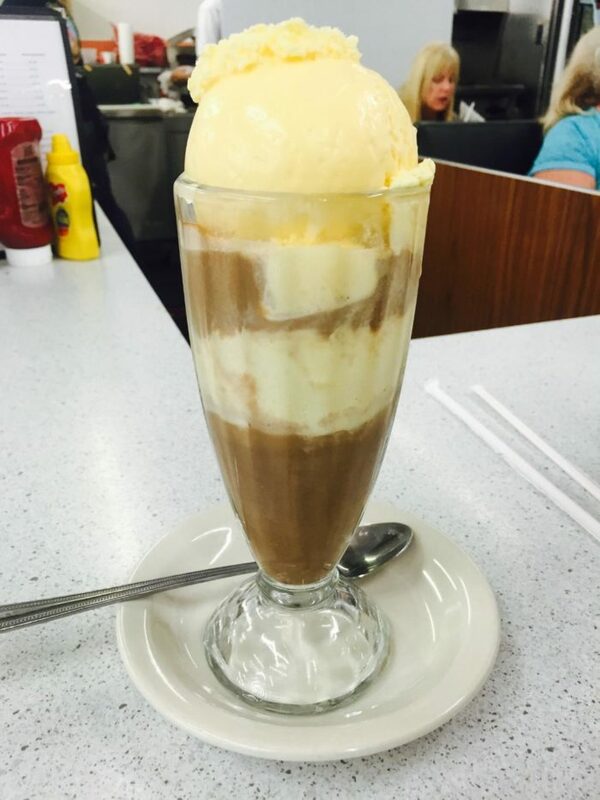 Still serving only Hershey’s ice cream, you’ll be in for a real treat when you order up one of their famed soda floats. 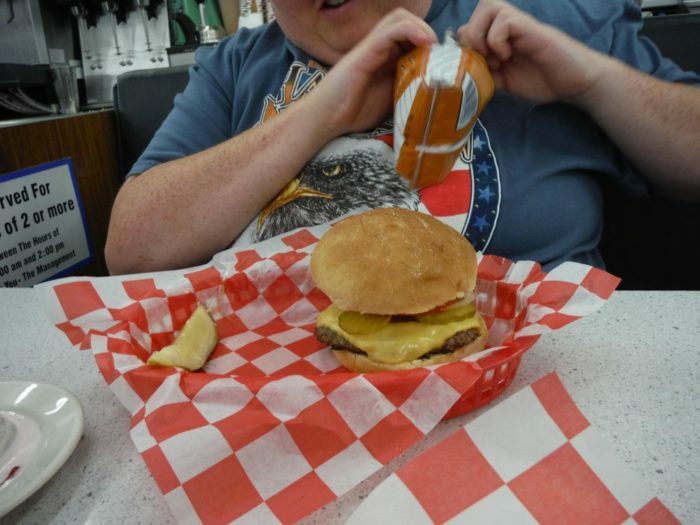 Enjoy one of the shop’s famous burgers and malts which will give you that nostalgic classic diner feel. 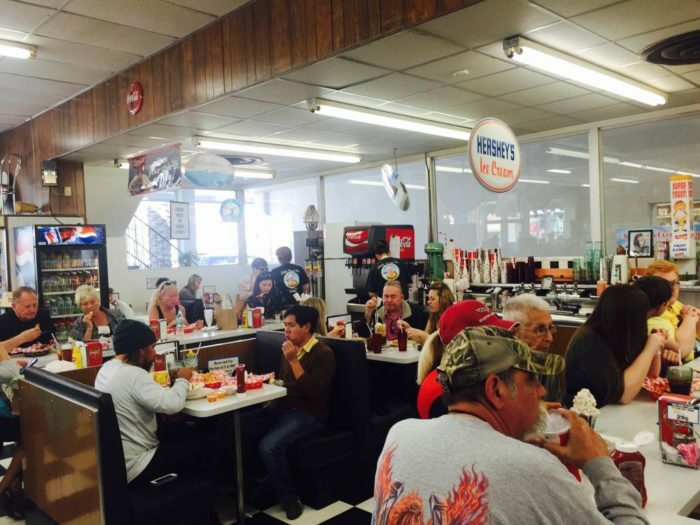 What makes this lunch counter so popular is that it has consistently served up delicious, no frills food that people love. 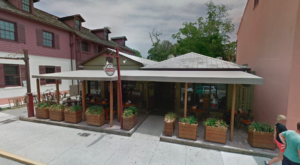 For instance, if you visit on chopped sirloin day, you might have to wait for a seat! 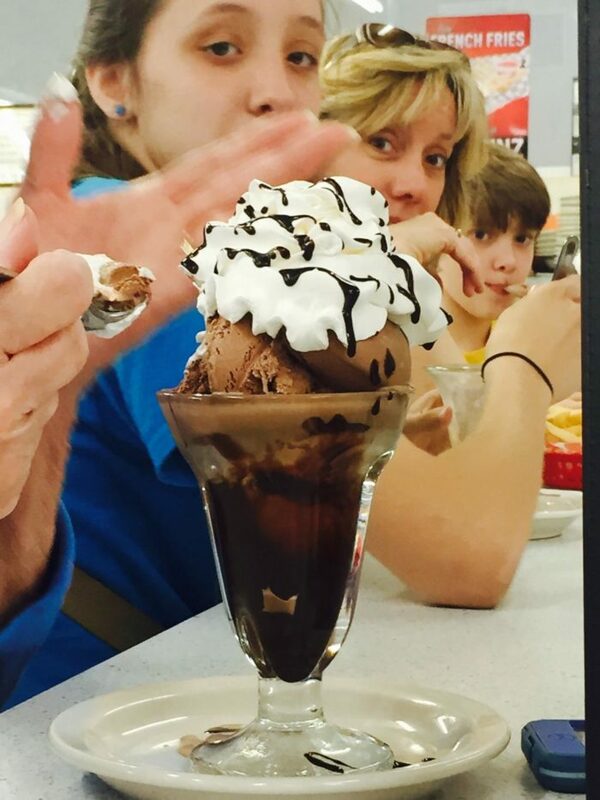 Even the desserts are time-honored, with traditional sundaes made from the simplest ingredients. 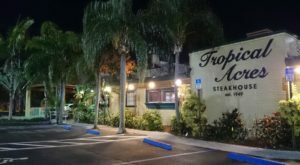 The perfect place to spend an afternoon chowing down with the family, making memories out of a meal in Florida. 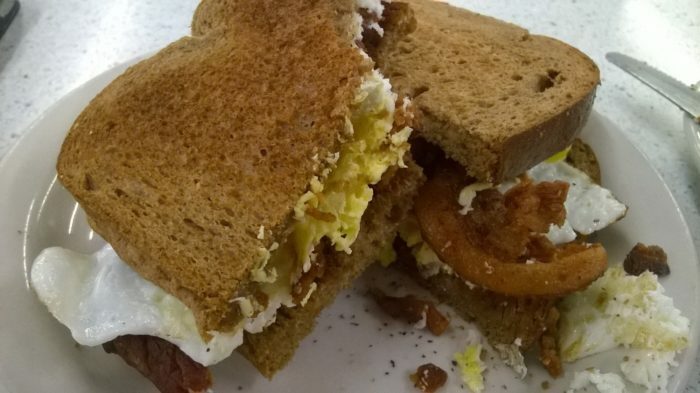 Visit this old lunch counter in New Smyrna Beach for a classic meal in a vintage-inspired locale. 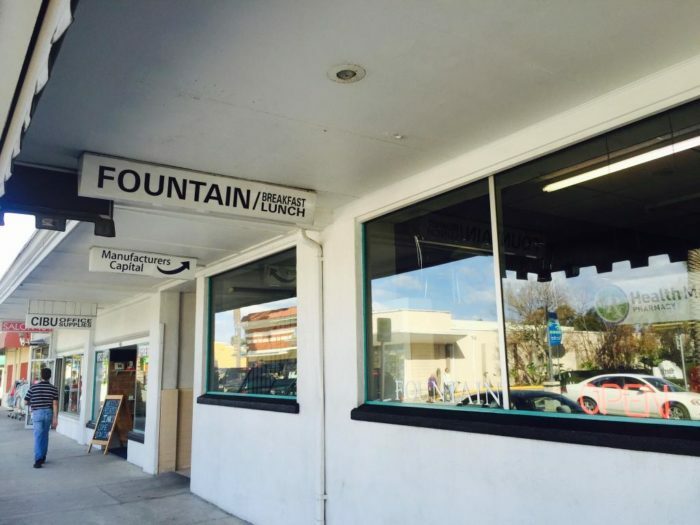 Ready to visit this old lunch counter in Florida? 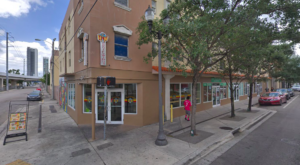 The address for Little Drug Co. is 412 Canal St, New Smyrna Beach, FL 32168-7010. 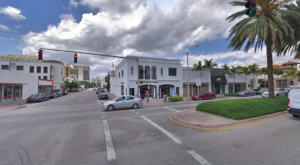 The hours are Monday through Friday from 8 a.m. to 5 p.m. and Saturday from 8 a.m. to 3 p.m. To find out more information about Little Drug Co, visit the website or Facebook Page. 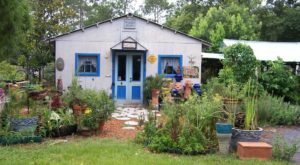 Meanwhile, if you’re looking for another reason to visit New Smyrna Beach, Florida then this treehouse restaurant might just do the trick.